CARICOM Secretary-General, Ambassador Irwin LaRocque, in his remarks on Monday, 21 November, to the official opening of the Seventeenth Meeting of the Council for Security and Law Enforcement, alluded to the threats which challenged the Region’s peace and security. Noting these were both internal and external, Ambassador LaRocque said “in many of our Member States, the Community’s work in the area of crime and security has become more urgent”. He called on the Region’s security policy makers to deepen their resolve and to remain committed to the task of further strengthening the regional security architecture through individual and collective action. The Secretary-General pointed to the outstanding security agreements by Member States, reiterating that “the regional security agenda is linked significantly to the application of these legal instruments”. Commending the progress made, evident by the advanced stages of negotiations with a number of Third States and the “stronger partnership for the future between the Caribbean and the United States, the Secretary-General expressed his appreciation for their assistance. 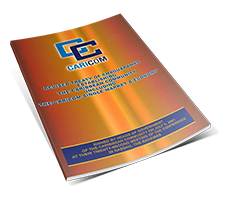 He however emphasized that the onus was on the collective Region to demonstrate that it was serious about its own security, and underscored the important role of IMPACS (CARICOM Implementing Agency for Crime and Security) as the hub of the regional crime and security framework, along with its sub agencies. 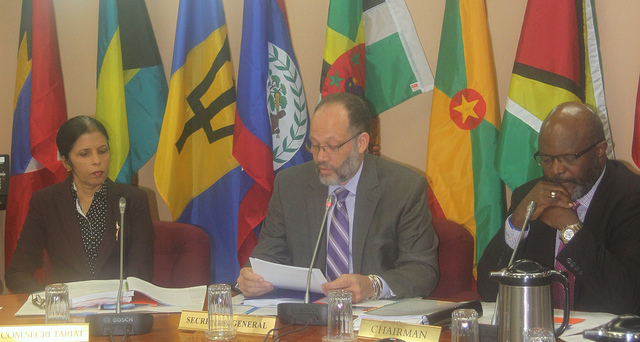 The one-day meeting taking place at the CARICOM Secretariat under the chairmanship of Barbados’ Attorney-General and Minister of Home Affairs, Hon. Adriel Brathwaite, will engage the Region’s ministers with responsibility for national security on issues related to cyber crime and cyber security; Member States’ Citizenship by Investment Programmes (CIPS); CARICOM’s relationship with Third States and financing the regional security agenda, among other critical security issues. “The Council for National Security and Law Enforcement (CONSLE) is responsible for the coordination of the Region’s multi-dimensional security agenda, to ensure a safe and stable Community”.